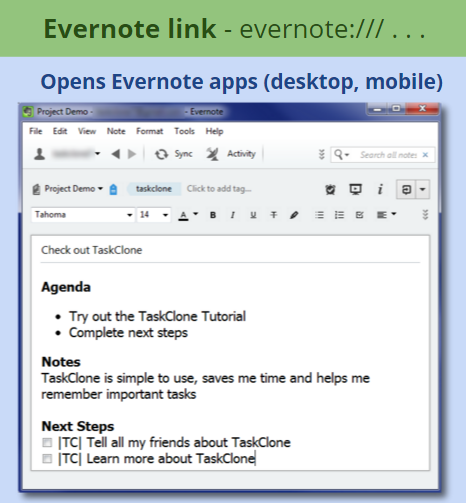 When TaskClone sends tasks to your task app, we add "note links" that link back to the note in Evernote. This allows you to go to the note for context and detail. 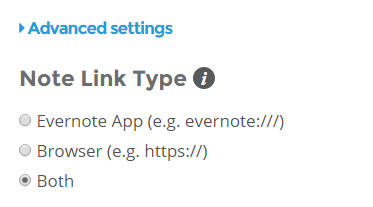 By default we add both Evernote links (e.g. 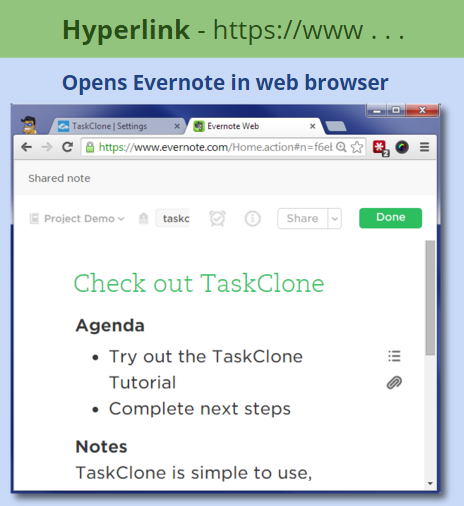 evernote:///) and regular internet hyperlinks (e.g. https://). Note: Evernote recently changed the format of these links to enhance security. We believe it was a good move, but please contact us if any of your links no longer work. Note: Your task app controls whether the links we provide are converted to clickable links in their app. In fact, sometimes a link is clickable on some platforms (e.g. Mac) and not another (e.g. Android). You can change this under "Advanced Settings" in Task App Settings.